How can each of us ~ you and I ~ simplify our basic problems through techniques and methods that build access toward the enlightened state? Self-help resources and spiritual advice abound in this age of availability, sometimes to a bewildering degree. Our experience has shown the need for focus and the value of ancient lineages that bring direct and deliberate results in a deeply personal approach. Blooming Rose Press is devoted to offering a resource for all who recognize the fundamental yet stupendous need to revere all living things, to take universal responsibility, and to cut through attachment that inhibits our inner evolution. The Third Verse Trilogy offers something rare to spiritual practitioners and general fiction readers: entertainment that conforms to their world vision, eons apart from common fictional themes, yet adventurous through multi-dimensional settings, ancient precursors to present-time evolution, and with a look into one possible future for humankind. Rise above distractions through this visionary fable and learn what The Third Verse is. How can the host of trilogy characters, each with a personal set of traits, harmonize to effect transformation? How can we lend our attention to the wisdom of the ancients to actualize profound transformation in our own lives? Here are a couple of examples, fragments from fiction that lift one into significance: "So you must listen well; not to me, not to an 'I' -- be assured. You see here only an illusion carrying a message. I am illusion, just as you are. As summer rain hits the hot ground to become mist rising, as the flower fades to become a miraculous succulent fruit. So we are expression caught in fleeting forms here in a dense realm..." P. 243, The Twelfth Age, by Lily G. Stephen. Ancient wisdom guides us through deeply personal evolution. Foundations of The Third Verse Trilogy are based on guidance each of us need right here and now. At last, the audio MP3 "Facets of the Diamond" is available to you as our gift. These are higher wisdom excerpts, the underpinnings of the trilogy, such as: "A thought is simply the extroverted expression of knowing, of awareness." "Most sentient beings do not know how to recognize; they are carried away by thoughts." "The sorrows created by the mind can be untangled." "No matter what kind of disturbing emotion you feel, look into the emotion and it tracelessly subsides." With this outpouring of gratitude to venerable teachers, we offer their insights to you. As it will always be, our audio book sampler MP3 is also our gift. 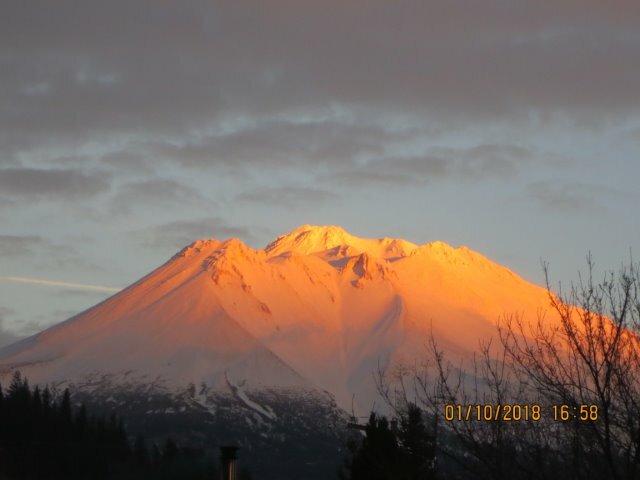 For announcements about breaking news, awards, reviews and Mount Shasta spirituality, please click on "Latest News" on left side of screen. Wisdom seekers and practitioners, be sure to check in at the Wisdom Forum page for "Signposts on the Way," an expanding resource about methods and knowledge in the spiritual life. By clicking on buttons at upper left, you may visit pages about the indexed topics, check the resource listings, sample reviews from our novels, and follow links to our colleagues who investigate expanding our daily existence through heightened awareness and collective life purpose.